At Lawson Home Services we believe in helping homeowners enjoy comfortable and cost effective homes. That's why our home energy audit has been developed to be thorough, efficient and a smart investment that keeps paying off for as long as you own your house. Stop living uncomfortably in your home everyday. Our company offers home energy audits to Delaware & E. Shore Maryland residents. Our home energy audit will test and analyze your home energy systems to locate and identify how your home uses and loses energy. We also recommend the best cost-saving opportunities for your specific home, focusing on improvements that your home needs most. Contact us today to schedule a home energy audit in your Delmarva home. One of our certified energy experts will thoroughly test and examine your home energy systems, providing you the best cost saving solution for your home. Our service area runs throughout both Delaware & E. Shore Maryland, including: Wilmington, Bear, Dover, Newark, Salisbury, Middletown, Easton, Hockessin, Claymont, Berlin, and more. There are eight energy vital signs that we make sure to test and evaluate in each home to offer the highest quality improvements. These include: air sealing, insulation, radiant barrier, ductwork, heating and cooling systems, water heating, lighting, and windows and doors. All of these work together to help your home as a complete unit. Each category has an influence on the others. For example, water heating expenses depend on the efficiency of the water heater, the types of showerheads in use, pipe insulation, dishwasher and washing machine efficiency and overall hot water demand. Heating and cooling costs depend on many factors as well: insulation levels, air leakage, duct leakage, and HVAC system efficiency, just for starters. The David Lewis hatch cover has been placed over the pull down attic stairs. It is made out of lightweight SilverGlo so all the homeowner has to do is slide it out of the way while entering the attic and slide it back into place when they leave. Through various tests, inspections and calculations, a complete Home Performance Checkup evaluates all of the features and conditions that factor in your home's overall energy performance. When Lawson Home Services completes your Home Energy Checkup, you'll see exactly how your energy dollars are being spent and where your best savings opportunities are. Our Home Performance Checkup rates 10 Energy Vital Signs™ and provides you with a prioritized list of recommended improvements --your master plan for saving energy. Get our free book, "Saving Energy and $ at Home— when you sign up for a Lawson Home Services Home Performance Checkup. Call or email today to schedule your Home Performance Checkup. A clear path to saving energy and money. A home energy audit from Lawson Home Services provides you with a master plan to improve your home's energy performance, cut your utility bills, and create a healthier, more comfortable home. 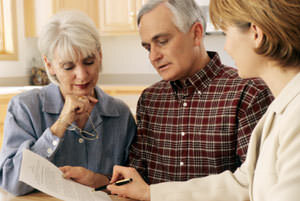 A Lawson Home Services Home Energy Checkup is the best audit for your home and value. Many of the Home Performance Checkups subsidized by local utilities or state programs are woefully incomplete, even when they include free features like weatherstripping or fluorescent light bulbs. When you get one of these limited audits, you're missing out on major information. You may have a water heater that's about to leak all over your basement, a furnace that isn't venting properly, or a ductwork system that's dumping air from your attic or basement into your living space. To make sure you do the right things in the right order, invest in Lawson Home Services's comprehensive and customized Home Energy Checkup. If you're interested in renewable energy options like a geothermal heat pump or a solar system, our Home Performance Checkup will also evaluate your home's potential for these improvements. Lawson Home Services offers a home energy audit in Stevensville, Seaford, Grasonville, Millsboro, Centreville, Georgetown, Lewes, and surrounding areas! Schedule your home energy audit in Delaware & E. Shore Maryland today!